For many football fans who enjoyed seeing the Argentine star in his prime, Diego Maradona remains the best player to have ever graced a football pitch. He was a player who quite literally had the world at his feet, mesmerising crowds with his phenomenal natural talent, accompanied by a dazzling repertoire of skills and tricks; and that was just when he was warming up before a match, juggling the ball with careless ease and style. Maradona was the footballing equivalent of a master artist. The pitch was his canvas, the ball his paintbrush, and stadiums were the galleries in which he displayed his masterpieces. With one brushstroke of his exceptional talent, he could make the difference in games and inspire those around him. Without such a master amongst their ranks, it could be argued that distinctly average Napoli and Argentina sides wouldn’t have achieved their success of the 1980s. Napoli are currently amongst the favourites at Sportsbet to win Serie A this season, but prior to the arrival of Maradona at Stadio San Paolo in the 1980s, the Italian side had never won a league title. They won it twice with him in their side, along with the UEFA Cup, Coppa Italia and Supercoppa Italia during his seven seasons. The Scudetto hasn’t been won again since and, to this day, whilst murals of Maradona can still be found all around the city of Naples, almost like shrines revering a religious saint. Just a year after Argentina had lifted the World Cup, in a tournament which also featured the infamous Hand of God incident against England, Maradona led Napoli to their first ever Italian league triumph wearing his famous number 10 jersey. 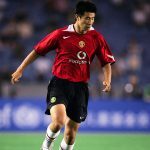 He was at the peak of his international stardom, dominated the sports page headlines, and was in huge demand with sponsors, who were queueing up to get his face on their latest advertising campaigns. In one such campaign, Diego appeared with his younger brothers, Hugo (El Turco) and Eduardo (Lalo), publicising the popular Japanese brand of coffee, Nova. The ad campaign was a huge commercial success for the company and others wanted a piece of the action. When they signed Lalo Maradona at the start of the 1987/88 campaign, this gave Segunda División Spanish side Granada a somewhat novel idea. Although the trio had featured together in advertising campaigns, never before had all three Maradona brothers featured together in a senior level football match. Granada changed that by getting the three brothers together for a friendly against Swedish side Malmö, who were in the midst of one of their greatest spells of Allsvenskan league dominance. Anecdotally, the Swedish visitors were managed at the time by former England coach and current Crystal Palace boss, Roy Hodgson. The unique nature of this friendly encounter and the Maradona appeal attracted widespread media interest, leading to the game being televised throughout Spain. According to accounts from the time, the game also generated record revenues for the live broadcast of a friendly match in the country, boosted by the added international interest as networks bought rights to full recordings and highlights. Some estimates suggest this netted Granada around 20 million pesetas, a very large sum of money at the time, and welcome for a club continually struggling with debts. On 15 November 1987, at the old Estadio de Los Cármenes near to the bullring in the centre of town, the terraces were packed as local fans eagerly awaited a gala performance. 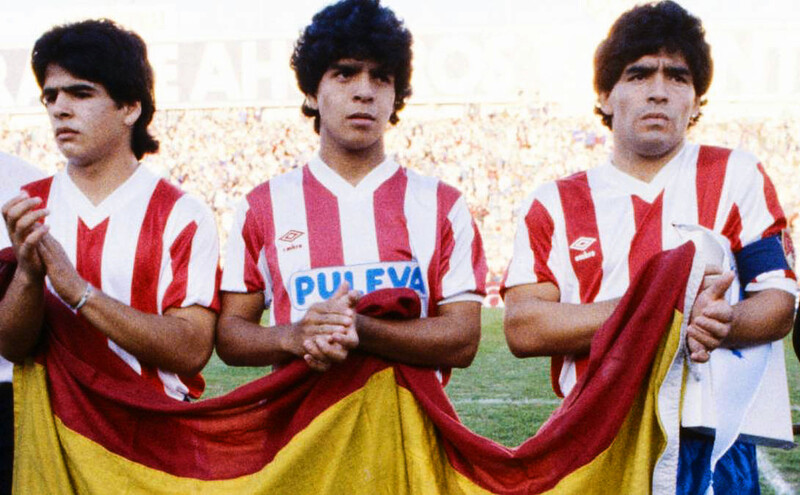 Interestingly, Diego appeared in a number 9 shirt without any sponsor advertising, opting to honour Lalo’s signing for Granada by letting him wear the number 10 instead, whilst Hugo, a Rayo Vallecano player at the time, wore number 8. Despite having such a prominent trio of players in their ranks, it was Malmö who opened the scoring at Los Cármenes, with Anders Palmer powerfully heading in after a free-kick from the visitors. Nevertheless, Granada and the Maradona brothers soon found their rhythm and began to dominate, as Diego gathered the ball deep in midfield and played an exquisite defence-splitting pass for the run of Lalo through the middle, who slotted in the equaliser. As if the first half of the encounter hadn’t been entertaining enough for the crowd, the second half was an end to end spectacular for them to enjoy. In the presence of one of his football icons, a very young Martin Dahlin was equally keen to show his impressive bag of tricks, putting Malmö 2-1 ahead with a finish that struck the keeper and looped into the back of the net. Granada almost immediately levelled with a stinging strike from Hugo, but his effort was tipped just wide. Having struck the crossbar in the first half and coming agonisingly close a couple of times in the second half, the moment came that Granada fans had been waiting for. Diego was fouled just outside the area, and there was no doubting who would take the resulting free-kick. Despite there being seven players in the Malmö wall, Diego perfectly dipped his left-footed shot over their heads and into the bottom right corner. Diego wheeled away in jubilant celebration with Lalo and Hugo, almost as if it was the most important goal of his life. Needless to say, it was certainly a special moment to savour with his siblings, and for the Granada players and fans, who roared their delighted approval. Shortly after having levelled the game at 2-2, and even with the Maradona brothers clearly the focus of attention, the next goal was very much a ‘made in Granada’ production. Victor produced a perfectly timed through-ball for the diagonal run of striker Manolo, who took just one touch to control before applying a precision finish. The first to congratulate the scorer was none other than Diego, with the crowd celebrating the third and winning goal of the game as if they’d won the European Cup, rather than a friendly.